There's a not-so-secret weapon lurking in pantries across the Americas; a superhero ingredient that makes our favorite comfort foods so 'Mmm, Mmm Good'. It comes to our aid in kitchen emergencies and lends itself well to our cuisine creativity. 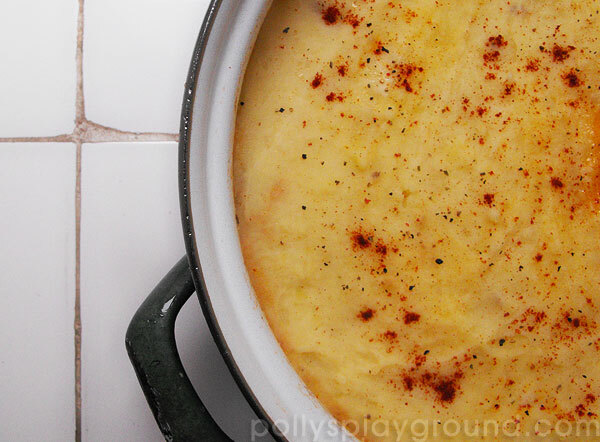 From quick weekday casseroles to traditional holiday fare, if you've got 'Cream of' something, you've got yourself a meal. The versatility of canned condensed soup is proven through endless volumes of recipes for main-dish meals, savoury sides, sauces, gravies, chowders, stews and yes, even desserts (Tomato Soup Spice Cake anyone?). Enduring the test of time, we continue to serve the same dishes that our grandmothers have swapped since the early 1900s; today a Google search for "recipes using canned soup" pulls more than a million results. It's beyond mere convenience, its comfort; we trust it to work every time. Like culinary Duct Tape, it pulls our meals together, can fix anything and sticks with us forever. And we love it. I'll be the first to admit that a few menu items in my recipe arsenal feature the magic of Campbell's and that I've been saved by the can plenty of times. In it's originally intended soup form, a gooey grilled cheese sandwich with a hot cup of Tomato or a steaming bowl of Mushroom with a stack of Stoned Wheat Thins is, for me, the equivalent of a hug. Here on Hvar, soup is not a multi-purpose ingredient; soup is soup. Hugs don't come in cans, they live in packets of dehydrated noodles and vegetables and flavouring spice and, when reconstituted with water, are ideal for serving along side a thick slab of fresh bread. Beyond the bowl, they fail miserably at making meals happen. 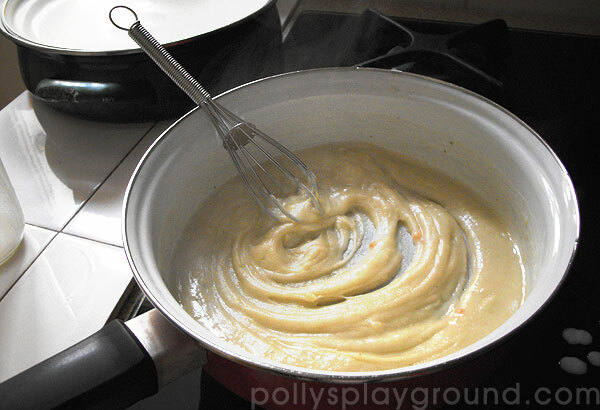 Here would be the appropriate point to launch in to a full pictorial demonstration on how to make a roux. On further consideration, I determined that trying to take photographs while preparing a roux would inevitably lead to lumps and/or burns (for both myself and the roux) and that's just not a pretty picture (in either case); instead, we'll look at a quick, easy and inexpensive alternative. I don't promise gourmet but I do promise a very low-sodium, lump-free thickening agent with the binding properties that are equal to one can of condensed soup and can be used in any recipe where it's called for. If you need further proof, pour it into a can and let it cool... when you dump it, you'll get the familiar satisfying "schluuuup" sound that you do from your favorite brand as it slides out and continues to hold it's shape. 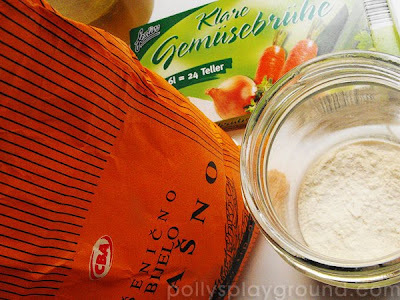 First, place 3 Tbsp of flour in a small clean jar. Add 125mL (1/2 cup) of beef, chicken or vegetable stock (I dissolved a proportionate amount of soup brick in a scoop of water from the pot of potatoes on the stove) to the jar and close the lid tightly. Shake it like you mean business; we don't want any lumps. Next, melt 1 Tbsp butter in a pan over low heat. Once the butter becomes clear and sizzly, add the flour/stock mixture a little bit at a time, whisking constantly, to form a smooth, thick paste. Remove the pan from the burner and slowly add 125mL (1/2 cup) milk. 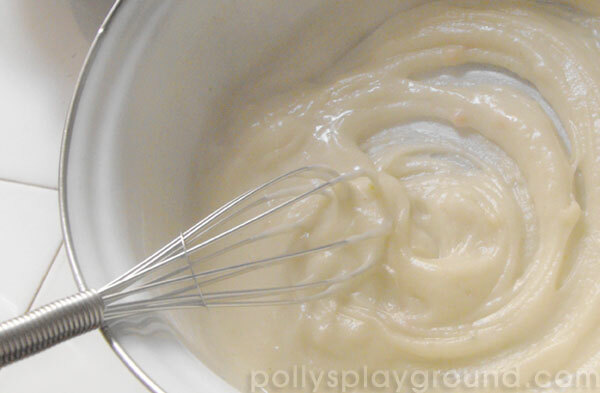 Whisk until smooth before returning to medium heat. 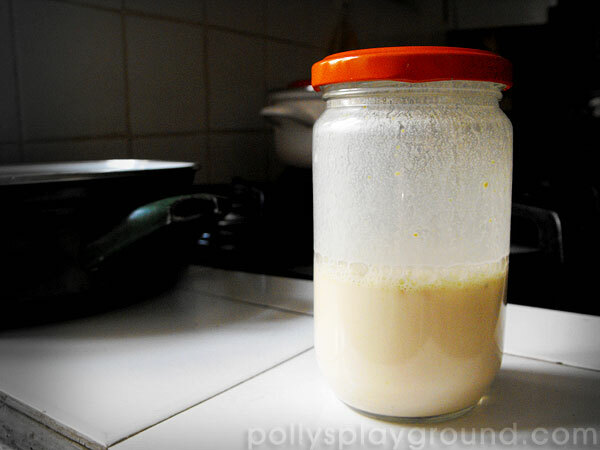 Stir constantly as the mixture bubbles and thickens, reducing to desired consistency. The entire process, without cooling (which you don't need to do unless you crave the "schluuuup") should take about twice as long as it takes you to open a can of soup. Bear in mind that we haven't added any flavour and that, because not a proper roux, it will still have that raw flour taste. This method will only provide the thickening properties of the soup; use your judgement and creativity to season and spice whatever dish you add it to. Whatever you do, please do not add an equal amount of milk or water and try to call it soup. I am fully aware that the stomachs of true chefs everywhere will churn at the very thought of this method, but since we're already cooking with soup, that damage was already done. I found the creamy mushroom sauce recipe I mentioned when you first put this up. You could easily make it into a cream of mushroom soup! To make the mushroom sauce, heat a medium-size sauce pot over medium heat. Add EVOO and the butter. When butter melts, add in chopped button mushrooms and cook 5 minutes, until just tender. Sprinkle in the flour and cook for 1 minute. 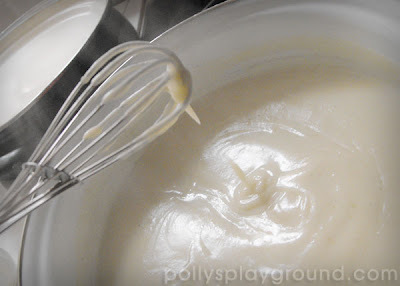 Whisk in the chicken stock and bring up to a bubble, then stir in the whole milk or cream. Reduce the heat to low and gently simmer. Season sauce with nutmeg, salt and pepper. mmmm i want to make this now (as in right NOW.) thanks for posting.